gaining critical acclaim and international attention. producers conquering the world of electronic music. "Blue" is the second single from Brisbane ambient electronic producer Kurt Sines debut EP, TRY TO BE OKAY due out early 2019 on Akira Records. 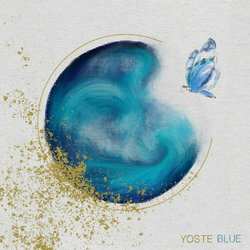 "Blue" sees Yoste confidently combine his signature dreamy electronica with modern pop sensibilities as he takes his introspection further.